SEO optimization for online marketplaces – improve organic traffic & UX on your site. Get actionable tips from SEO expert and former SEO Manager at Junk Mail Media Group, Oliver Winberg in a concise 30-minute webinar on April 26th, 3:00 pm CEST. There are many resources about SEO optimization, but most are very general. Online marketplaces are a niche area and as with other challenges faced by dual-sided marketplaces, optimizing them for SEO requires a unique approach. Don’t waste your time on generic SEO strategies, learn from someone who has built and applied best practices for SEO for a successful online marketplace. Using keyword research to improve category structures draw more traffic from search. How created content helps supplement user-generated content. How your SEO strategy improves UX. How moderation can solve key SEO challenges. 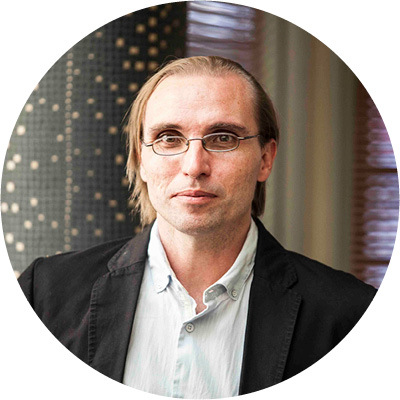 Oliver Winberg has spent the past 20+ years working in the highly competitive classifieds advertising space in South Africa – employed at the highly successful and innovative Junk Mail Digital Media. The first 10 years of Oliver’s career was focused on the upstart of CapeAds classifieds magazine. Oliver started at CapeAds as a part-time graphic designer with the display ad sales team. Oliver quickly became responsible for the overall production of CapeAds ads magazine. During this time he also developed the first website for CapeAds and managed all aspects of the IT infrastructure. Junk Mail classifieds are the leading classifieds publishers in South Africa. Following Junk Mail’s acquiring of CapeAds, Oliver moved to Pretoria to lead the national production team. This was followed by a brief stint building the production team for Junk Mail’s car and truck for sale titles in Johannesburg. When Oliver moved back to Pretoria in 2008, he was offered the opportunity to found Junk Mail’s digital marketing team. With the help of training from Blue Rank in Poland, Oliver discovered the power of SEO (Search Engine Optimisation) which has become Oliver’s passion. Oliver has now relocated to Stockholm and survived his first real winter. With extensive experience and expertise in marketplace SEO, Oliver is looking forward to work with you to find solutions to the challenges you may be facing with your Search Engine Optimisation strategy.